For this thread, we need your help. 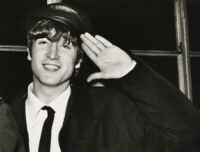 I amn't a Lennonista exactly as you may know, but I'm glad he gets a club, and I'll chip in from time to time when I feel Johnnish. For starters: I love his ballad voice (see 'Girl' or 'Love'). Do we have to use past tense or can we accidentally on purpose forget to? Beatlebug, O Boogie, Starr Shine? Nice job on the thread title! Johnworthy, indeed. @Beatlebug About the past tense, someone had written a pretty stupid article blaming for Paul for speaking about John in present tense. Stupid as it may sound, I absolutely am a sucker for his rendition of "To know her is to love her". No voice can get any more gentler and romantic than that! "I'm prepared for death because I don't believe in it. I think it's just getting out of one car and getting into another." "We're trying to sell peace, like a product, you know, and sell it like people sell soap or soft drinks. And it's the only way to get people aware that peace is possible, and it isn't just inevitable to have violence. Not just war — all forms of violence." ^^ About the past tense, someone had written a pretty stupid article blaming for Paul for speaking about John in present tense. I can't blame him, I do it all the time. One forgets... or chooses to ignore. Like I said elsewhere, I sometimes fantasize that he never died... he just went into hiding from the world. I love John because when I read about his life, I can identify with him. I see some of his personality traits in myself, both good and bad, and I have learned a few things about myself this way. I like that John was honest about his faults and able to learn from his dark side. 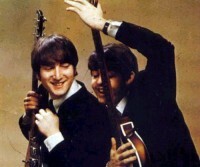 John Lennon and Elvis Presley are my two all-time favorites. 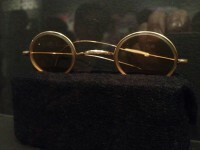 A pair of John's glasses I saw recently. 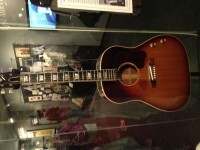 A guitar he used for the Please Please Me sessions. "We're all frozen jellies. It just needs somebody to turn off the fridge." 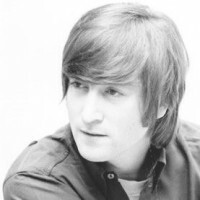 Despite all of johns much reported flaws and weaknesses i still maintain there is just something inherently loveable about him that i don't find with the other beatles, you were willing to forgive him just about anything. What's everybody's favorite Lennon solo album? For me, it's always a toss-up between John Lennon /Plastic Ono Band and Imagine . I go back and forth on that. The openness of POB is stunning. But if I could only have one, I would pick Imagine because my favorite JL song is 'It's So Hard ' - you know me and the blues. John played the blues better than any of the other three IMHO.